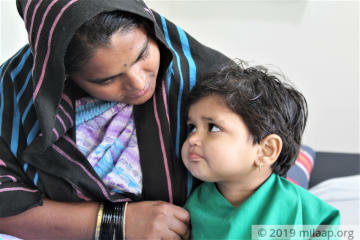 Every week, Nanda carries her cancer-ridden child in her arms, as they make their way to the hospital in Mumbai’s local train. 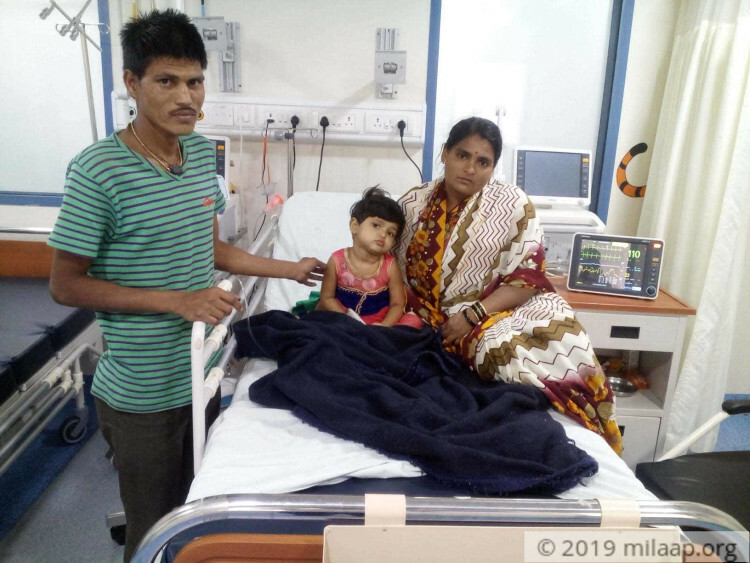 Priyanka (4) is now too weak to walk on her own, she is highly susceptible to infections but Lakhan and Nanda can only afford to take her by train. Soon, that too will become impossible for them. Priyanka’s blood cancer was diagnosed nearly 2 months ago after she had a recurring fever. 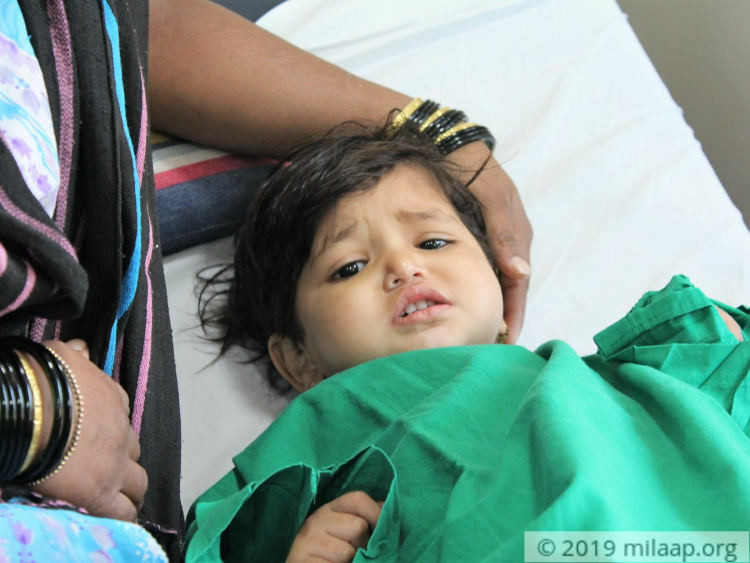 With a heavy heart, Lakhan and Nanda took her to Mumbai with the few thousands of rupees they had saved – they thought there was no hope for their daughter’s survival. However, in Mumbai they found out that she can be saved with chemotherapy. Lakhan had borrowed Rs. 50,000 - that is now over. 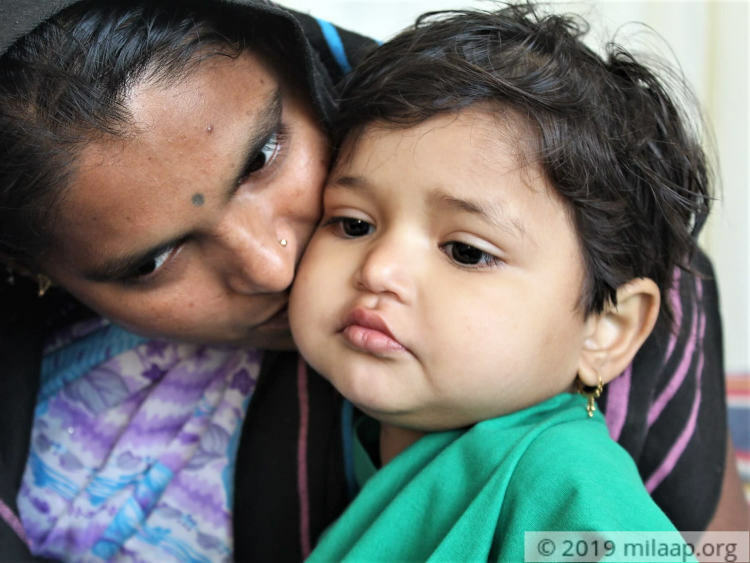 Baby Priyanka still has 6 more months of treatment left. It’s the only way she can fight the disease. To save money and to give their daughter the best chance of recovery, Nanda and Lakhan are now skipping meals. “We have to give her 3 meals a day, if that means I have to go to bed hungry, I don’t mind. I’ll do anything to save my daughter,” says Nanda. Nanda and Lakhan work on others’ sugarcane fields for Rs. 2,500 each per month in Kolhapur. Ever since they came to Mumbai for Priyanka’s treatment, they have had no income. They live in a small rented room 25 kms from the hospital. Nanda and Lakhan worry only about one thing – if they don’t get help, they will have to stop Priyanka’s cancer treatment and take her home as she is. Priyanka was a happy, playful child before this dreadful disease. The only way she can fight this disease is with chemotherapy. 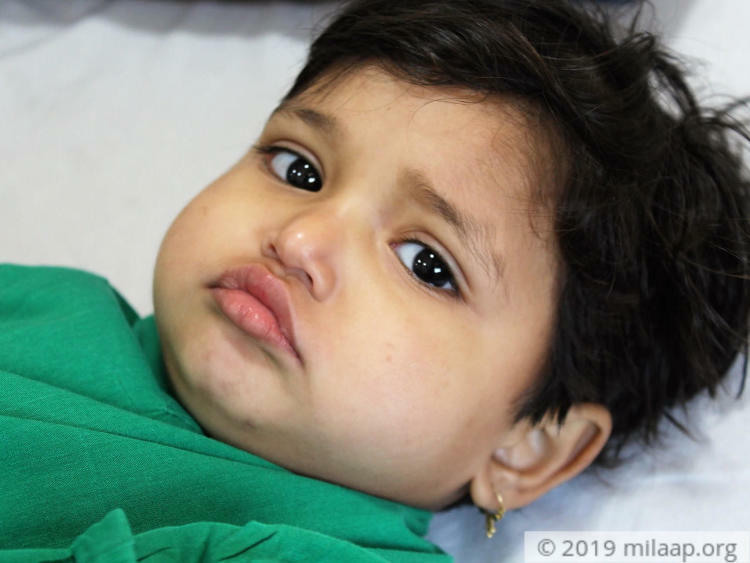 Priyanka’s parents need your help to save her life. 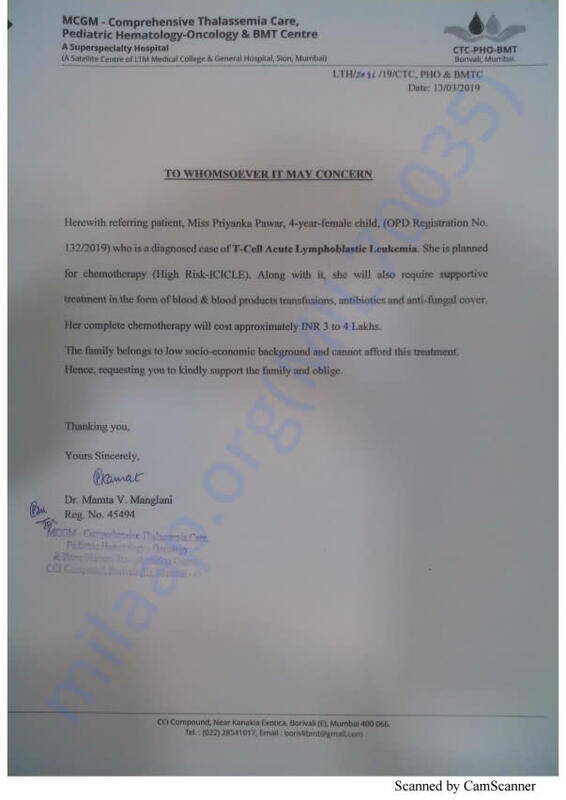 Priyanka needs chemotherapy for the next 6 months to survive. Only you can help her survive.